World Vitiligo Day is celebrated on 25th of June every year to spread awareness about this skin disorder, its causes and treatment. 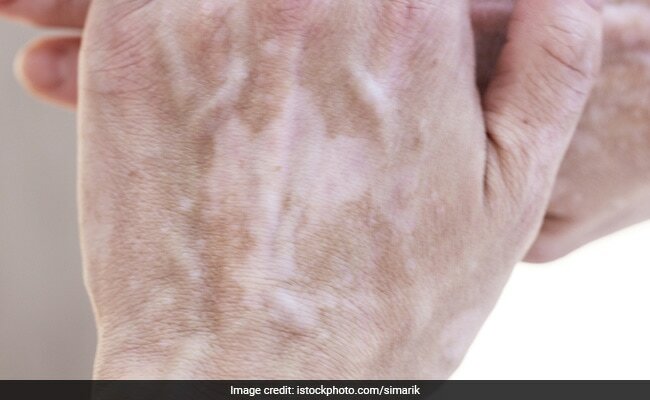 When cells that make pigment (color) in the skin are destroyed, it causes vitiligo.Vitiligo, also known as leukoderma, is a skin disorder in which white spots or patches appear on the skin. It is caused due to the weakening or destruction of the cells called melanocytes. Melanocytes produce a pigment called melanin. Loss of this pigment causes discoloration of the skin. The true cause of vitiligo is still not known but it is said to be an autoimmune disease. It might occur when the immune system mistakenly attacks some part of your body. The skin then starts to get discolored with white patches replacing the natural skin color. Only the color of the skin gets affected, the texture and the quality remains the same. This skin condition cannot be reversed by medication and millions of people are affected by it worldwide. It is most likely to occur on the areas exposed to the sun. In many people it was observed to have occurred due to extreme stress such as an accident, sudden loss of a near and dear one, or severe sunburn. This condition is a common skin disorder; however, there may be some unknown facts to it.